Arun Agrawal, PhD, emphasizes the politics of international development, institutional change, and environmental conservation in his research and teaching. He has written critically on indigenous knowledge, community-based conservation, common property, population resources, and environmental identities. Agrawal is the coordinator for the International Forestry Resources and Institutions network and is currently carrying out research in central and east Africa as well as South Asia. Since 2013, Agrawal has served as the editor-in-chief of World Development and his recent work has appeared in Science, PNAS, Conservation Biology, Development and Change, among other journals. 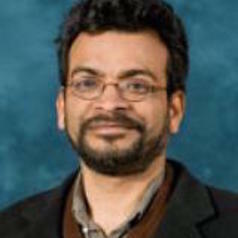 Preceding his work at U-M, Agrawal was educated at Duke University, the Indian Institute of Management, and Delhi University and has held teaching and research positions at Yale, Florida, McGill, Berkeley, and Harvard among other universities.